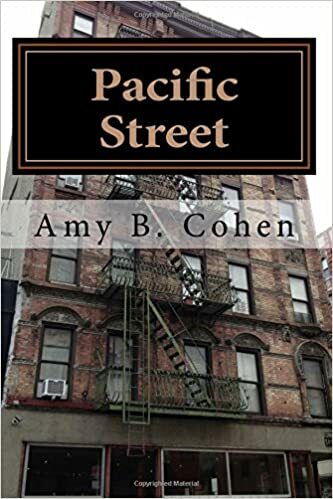 Picking up from where I left off with the Adler/Strolowitz family, I had located what had happened toTillie and to all of the children except Isidor and Beckie Adler. David had married Bertha, had a daughter Tessie, and died in 1936. Pincus had died as a young man, and Tillie had died in 1925. Leah had married Benjamin Schwartz, with whom she had two children, Ira and Theodora. I was even able to find living descendants of David and of Leah and have contacted two of them. But I still did not have a certain answer to two important questions: was Tillie really related to Gisella and Moritz Goldschlager, my great-grandparents? And why did she and her children seem to use both Adler and some form of Strolovitz as their surnames? And what had happened to their father(s)? 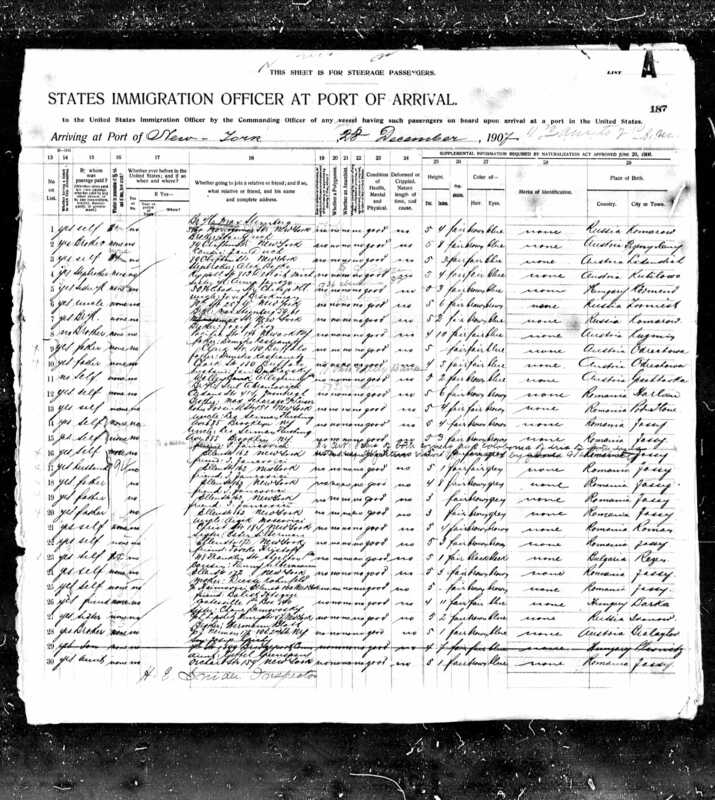 This manifest for the SS Saratow, sailing from Rotterdam on December 14, 1907, includes the names of not only Tillie (Tilla) and three of her children, Rivke (Beckie), Pinkie (Pincus) and Lea(h), but also the name of her husband, Itic Yankel Srulovici, or Isaac Jacob Strolovitz. Since Yankel is a Yiddishization of Jacob, this would seem to indicate that Jacob Adler was in fact the same person as Itic Srulovici and thus likely the father of all seven of Tillie’s children. I am still looking for more records to confirm this, including Itic’s death certificate, Tillie’s death certificate, and the death certificates of their children. I’ve asked Renee for her opinion and also posted a question on the JewishGen discussion list, and the responses I’ve gotten also seem to agree that Itic and Jacob were one and the same person. But that’s not all that I was able to learn from this manifest. If you look in the column asking for the name of someone you know from the place you have left, you will see the name Moritz Goldschlager of Jassy, Romania, my great-grandfather. He is listed as the uncle to all the children of Itic and Tillie. What is a bit confusing is that he is listed as Itic’s brother-in-law and Tillie’s brother. That would seem inconsistent with the fact that Tillie’s maiden name was Rosensweig, as indicated on Pincus Adler’s death certificate, so I need more documentation, but it still seems more likely that Tillie was Gisella’s sister and Moritz’s sister-in-law. This one document thus brought me that much closer to answering those two important questions. 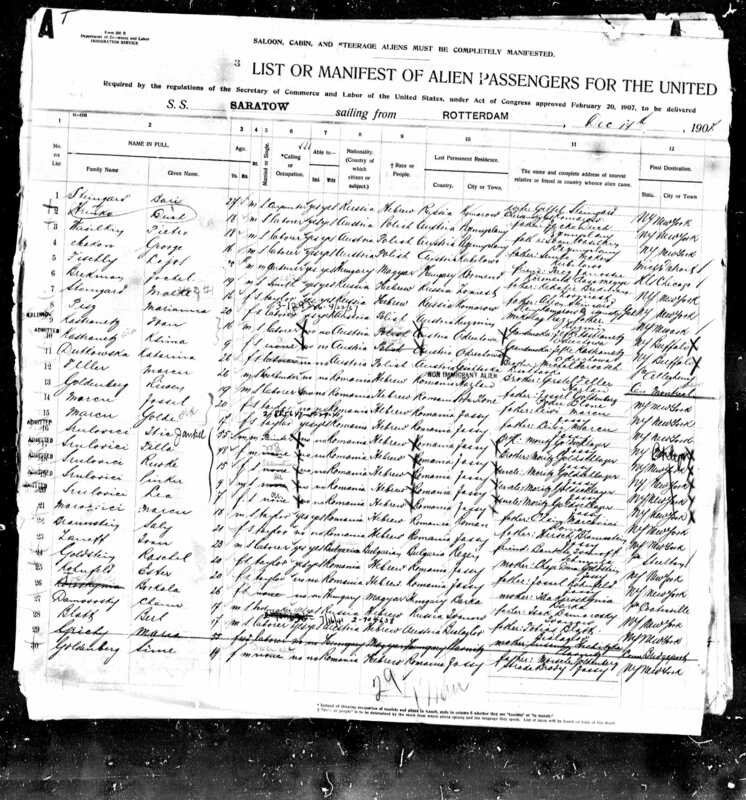 It did not, however, explain where the Adler came from or what happened to Itic after he left Ellis Island. Perhaps he died before the 1910 census. There is only one possible listing in the NYC death register that could be him: a Jacob Adler who died in 1910. Obviously, I need to obtain a copy of that document to see if it is the same person as Itic Yankel Srulovici. The other puzzle is why did the family split in their use of the name Adler and Strolovitz. I asked Renee and the JewishGen discussion list about the use of dual names and received some interesting responses. Perhaps Adler was Itic’s mother’s maiden name, and when the older male members of the family started working in NYC, Adler might have been an easier name to use than Srulovici. As the rest of the family grew, they too adopted this easier to pronounce and spell surname. Or perhaps the older males changed their names to avoid the draft when they left Romania. One responder said it was not uncommon for men to use false passport information in order to be able to leave and avoid the draft. I am hoping that Marius Chelcu, the researcher I have used before in Iasi, will find some Romanian records that help to explain where the name Adler came from and with more certainty how Tillie was related to Moritz and Gisella Goldschlager. This entry was posted in Genealogy, Goldschlagers, Miscellaneous information and updates, Rosenzweigs and tagged Itic, Jacob Adler, Moritz Goldschlager by Amy. Bookmark the permalink.